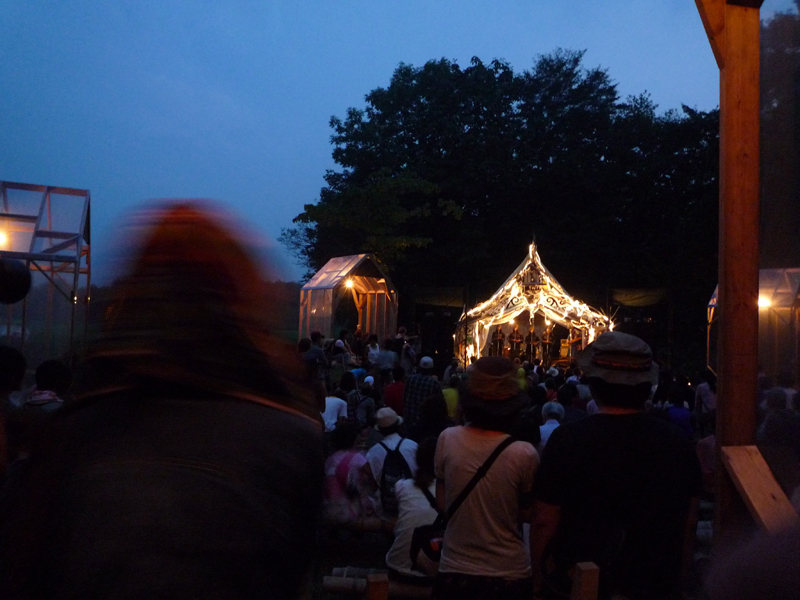 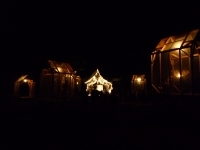 This is a temporary space surrounding event stage of Tobiu Art Festival 2012 and Tobiu Camp 2012. 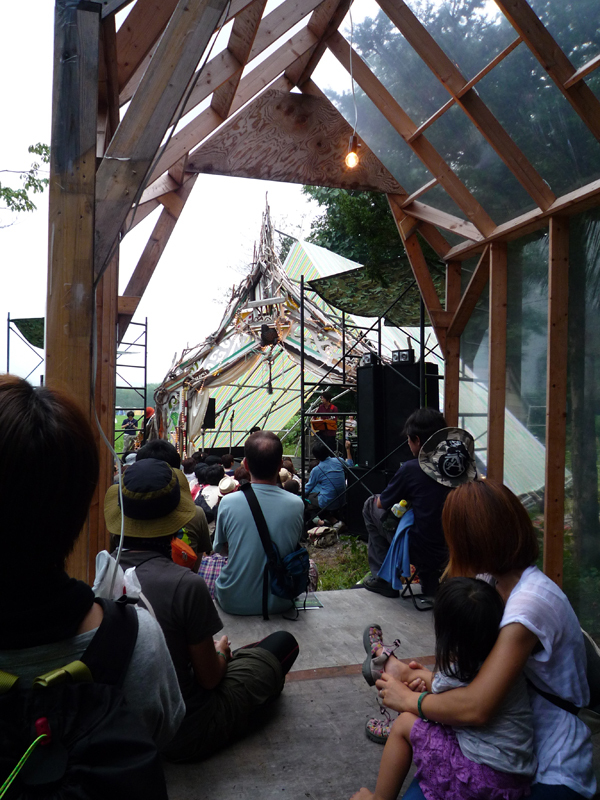 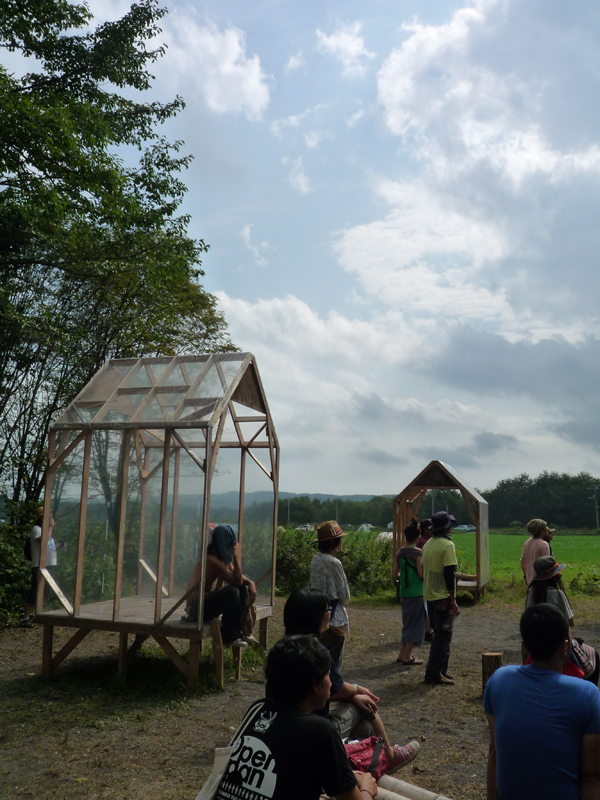 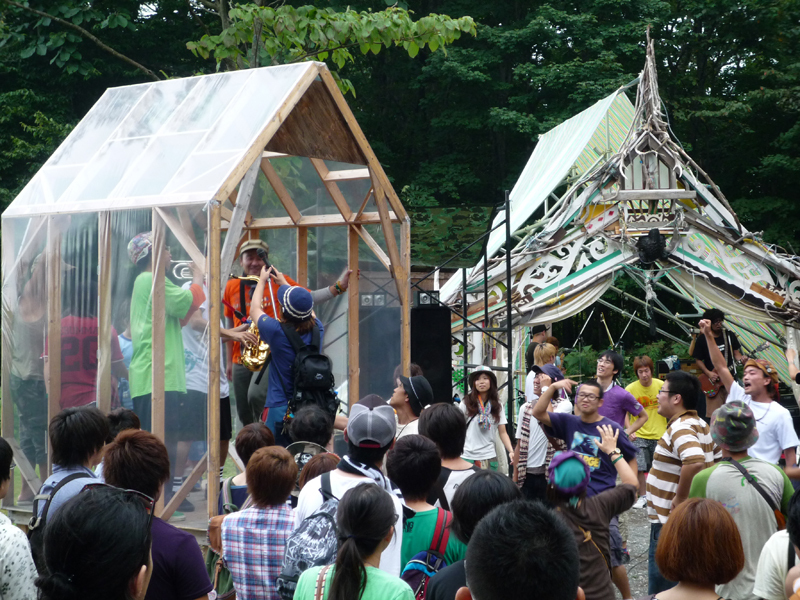 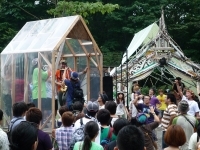 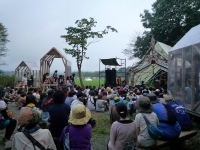 This local art festival is organized local young artists in Hokkaido island Japan, and based on closed elementary school in deep forest. 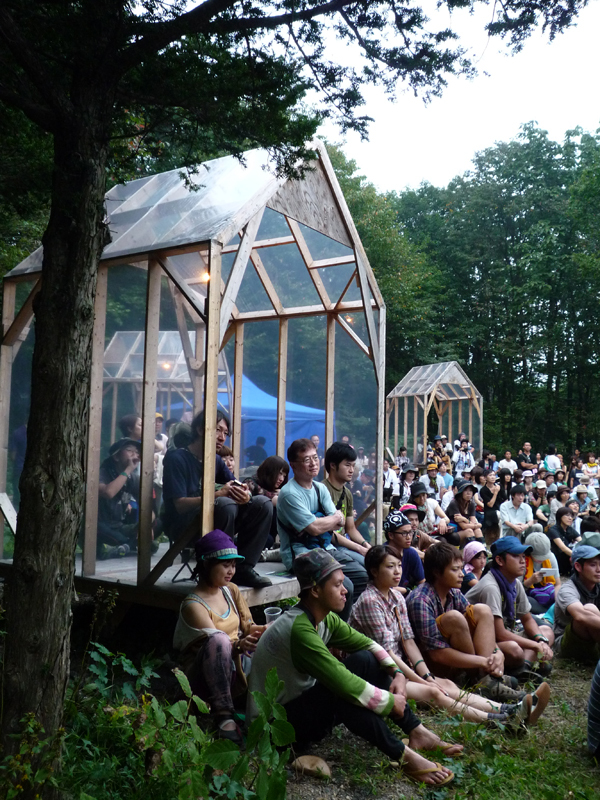 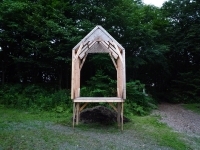 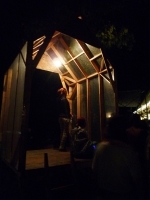 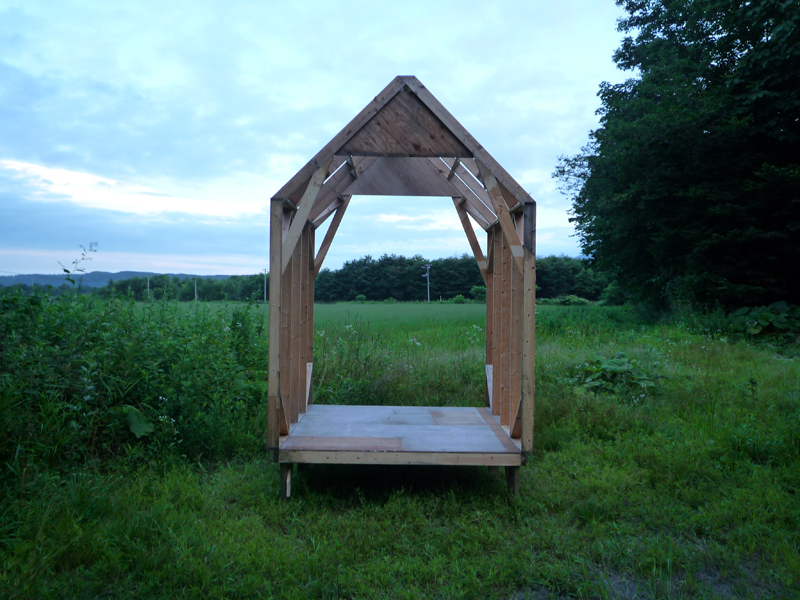 You can find 6 small pavilions in the forest randomly placed on the site. 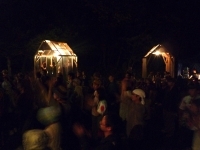 You can enjoy nice music live with other people together in the cozy atmosphere here. 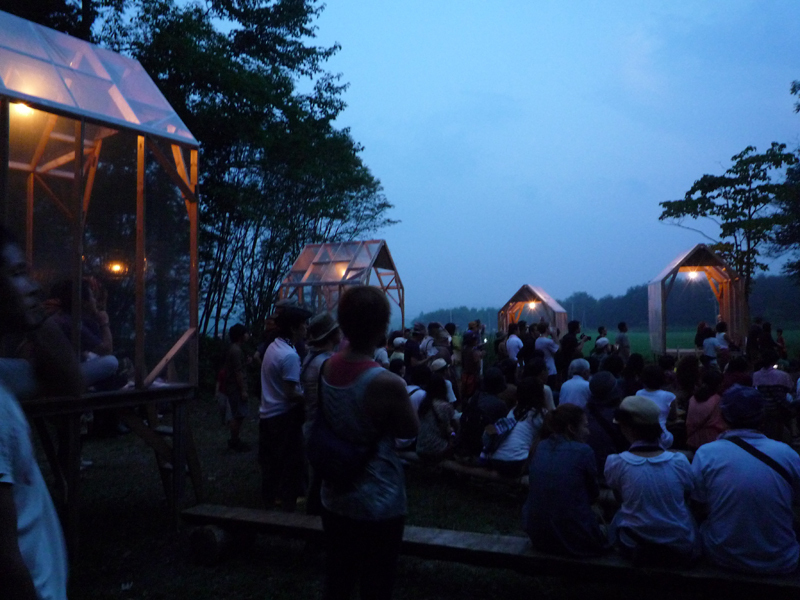 This 6 pavilions are surrounding this space and atmosphere as a kind of shelter. 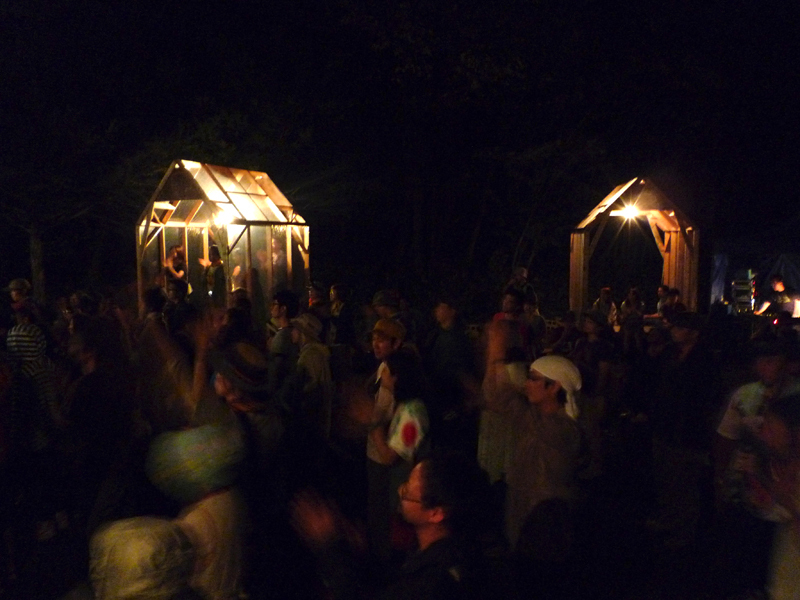 This is a creation of the temporary community. 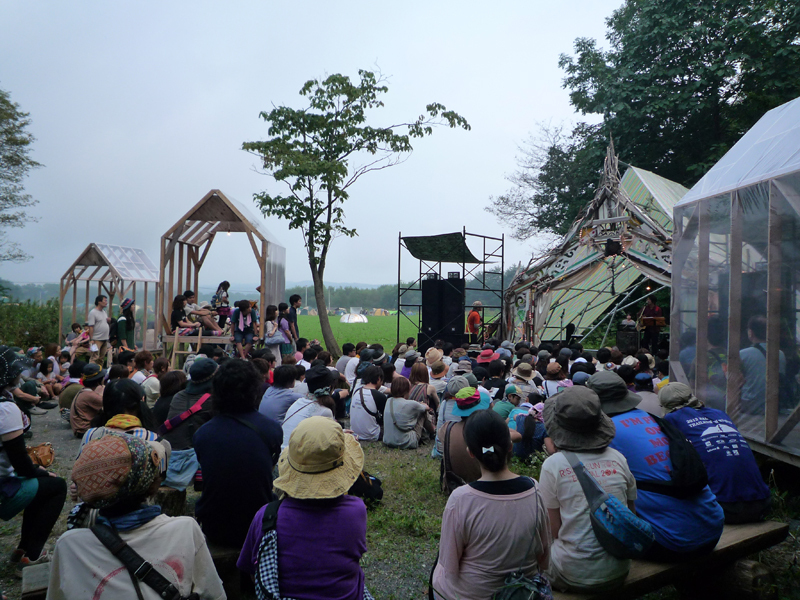 This is a moment of emerging of the village.